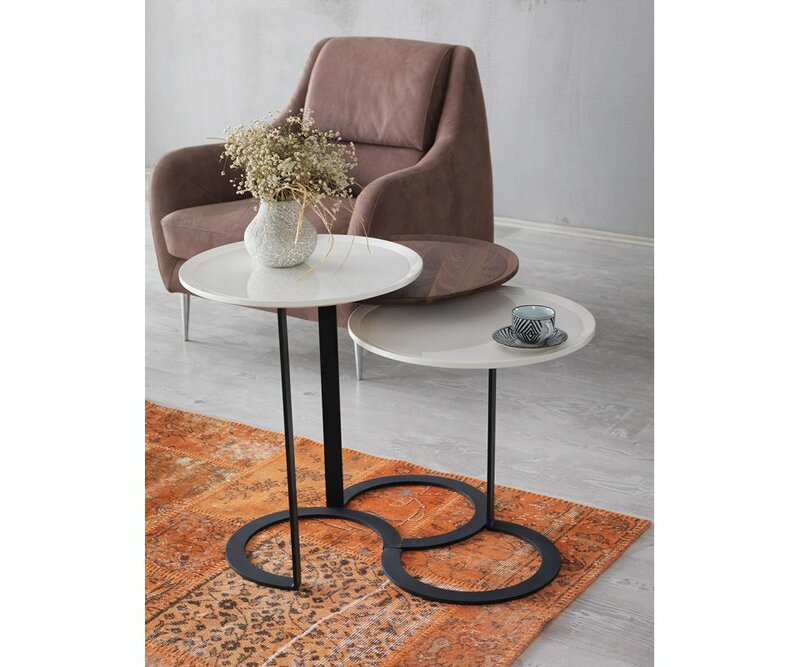 UNIQUE ARTISTIC DESIGN: Three round tray-shaped tops of different heights mirror the interwoven steel circular base sections of this ingenious and distinctive design. TWO-TONE FINISH: Two polished white MDF table tops and one walnut veneer table top create visual interest to create the focal point of your living space. 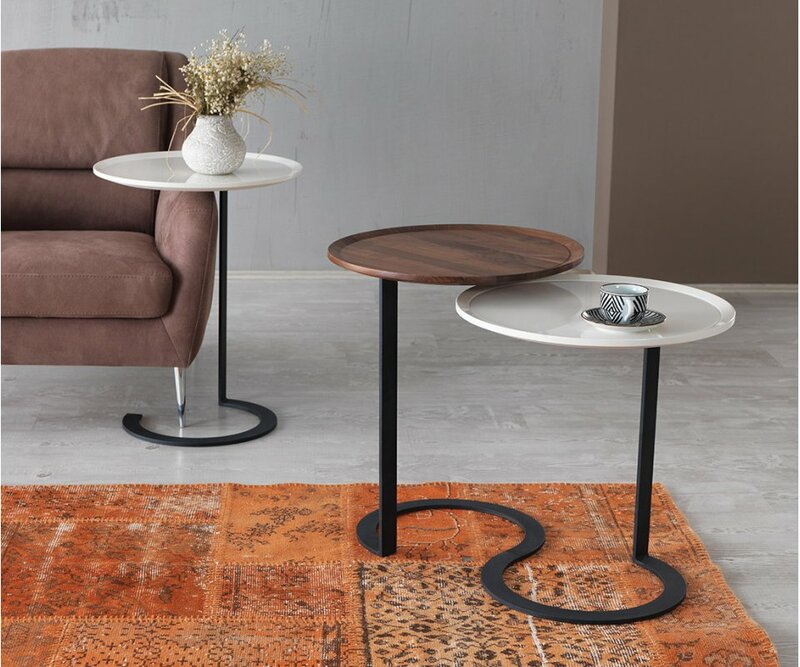 DURABLE CONSTRUCTION: Made from top-grade MDF and polished veneer finish that resists scratches, chips, stains, and water ring damage; steel legs are strong and won’t wobble! 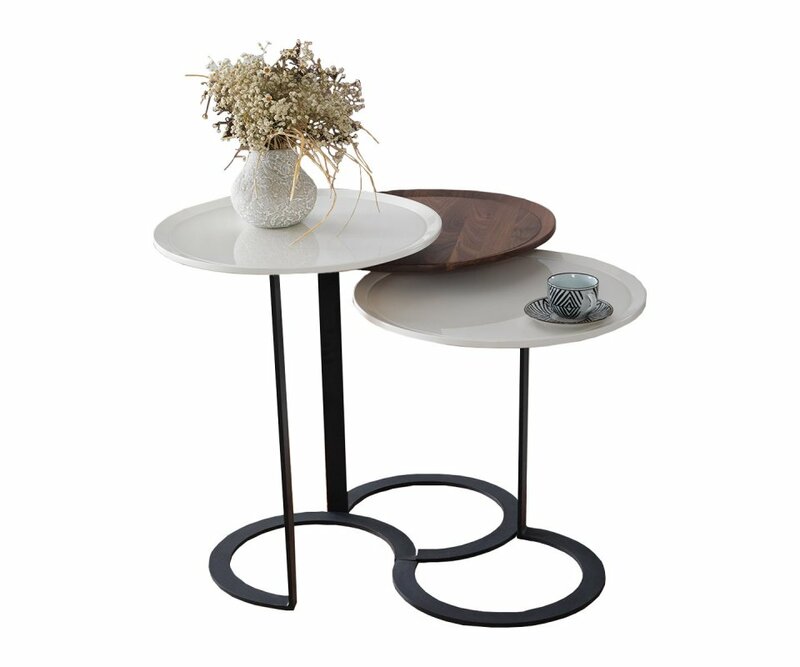 VERSATILE FUNCTION: The three tables make a flawless centerpiece for your living space, and can be separated to create separate small tables for beverages and appetizer plates! ECLECTIC STYLE: The chic and funky style, polished white and walnut hardwood colors, and black steel artistically-designed stands will pair with any contemporary décor.